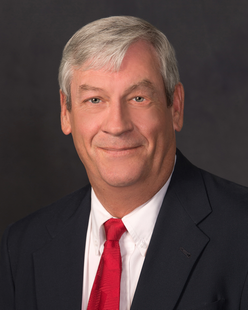 Joe C. Maynard, Jr. is a Partner in the Billings Litigation Department. Upon completion of his education, Joe clerked for Justice John C. Sheehy of the Montana Supreme Court and joined the firm’s Litigation department in 1988. He has extensive experience in the defense of Workers Compensation claims, Utility-based personal injury, medical malpractice, and estate litigation. Joe is regularly recognized by his peers as one of the preeminent defense attorneys in Montana. Over the course of his twenty-five year career, he has also litigated a wide variety of matters ranging from a trial over a real estate dispute to medical malpractice matters and Utility-based personal injury defense including electrical contacts and gas explosions. In addition, Joe successfully defended the Officers and Directors in connection with the collapse of Montana Power and Touch America.